Find one or more favorites among 4 different scents. Each one is unique and specific in its own way. And has won many awards. Since the ancient times of the Roman Empire and Queen Cleopatra, it has been known that essential oils are biocidal and fungicidal. Today, essential oils are making a great comeback in our daily lives. The finest perfumes and natural cleaning and disinfecting agents today are made from essential oils. 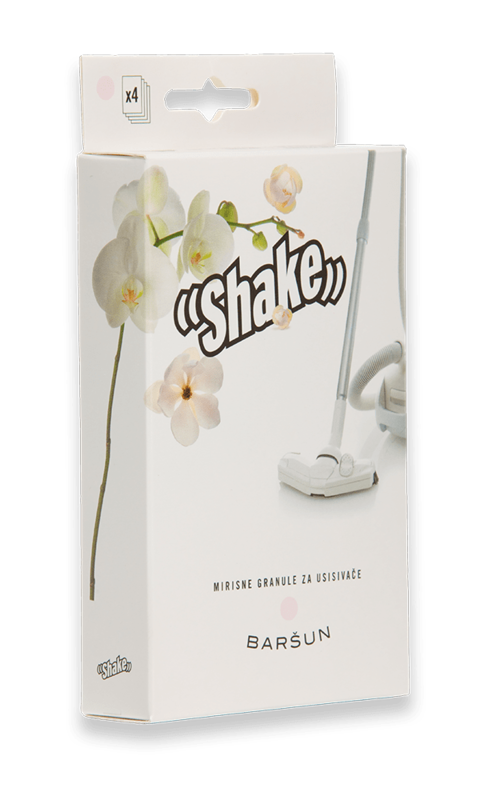 “Shake” perfume granules for vacuum cleaners contain 100% natural granules enriched with fragrant compositions based on essential oils. 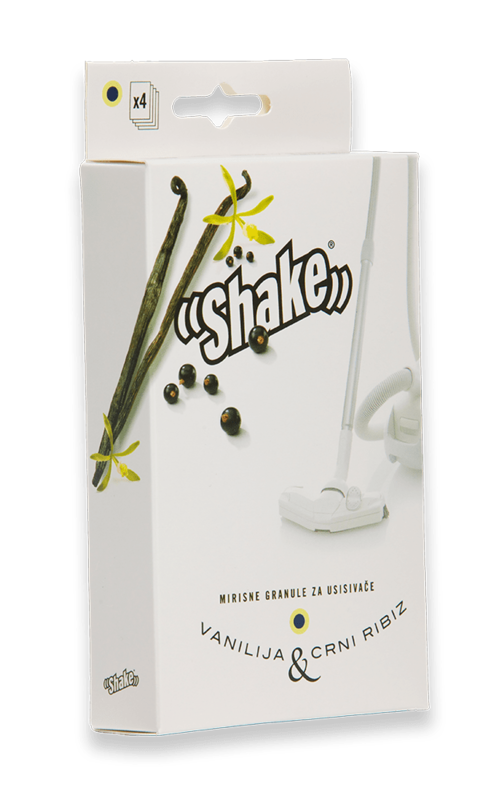 “Shake” for vacuum cleaners is a Croatian product which has won many awards at international innovation fairs and is patented. A light and refreshing scent which will freshen up your home in an instant. If you like vanilla, this will be one of your favorites. This is a special vanilla enriched by a note of the black currant. A light, subtle scent making your home smell clean and fresh. Lavender essential oil is used in the production of “Shake” perfume granules. A light and sophisticated scent for people sensitive to strong perfumes. 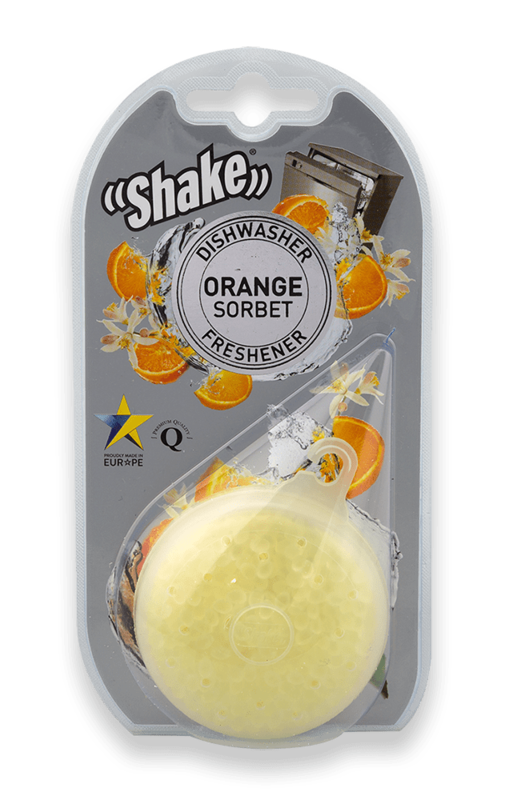 Shake” Professional product line combines a pleasant scent with biocidal and fungicidal effect of essential oils, and has been especially designed in line with the modern needs for deodorizing living areas, which are deodorized during vacuuming. 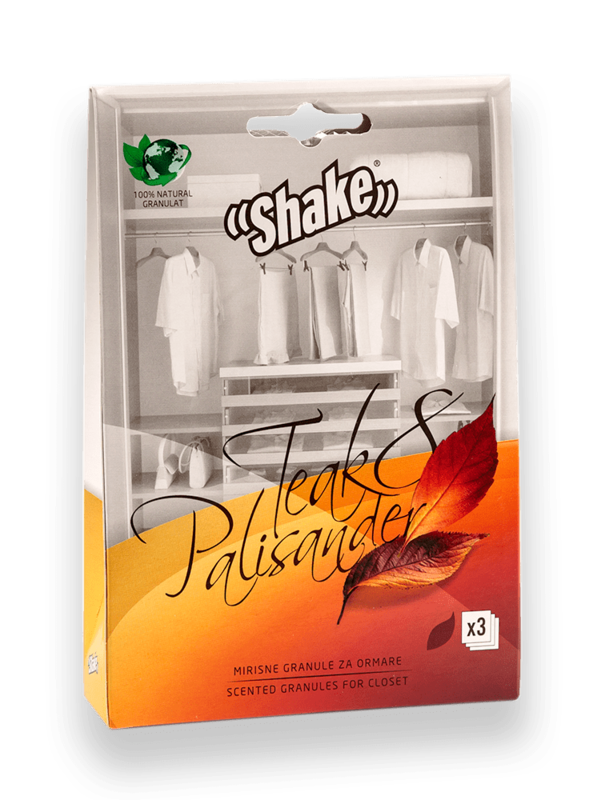 “Shake” Professional perfume granules for vacuum cleaners contain 100% natural granules enriched with fragrant compositions based on essential oils. 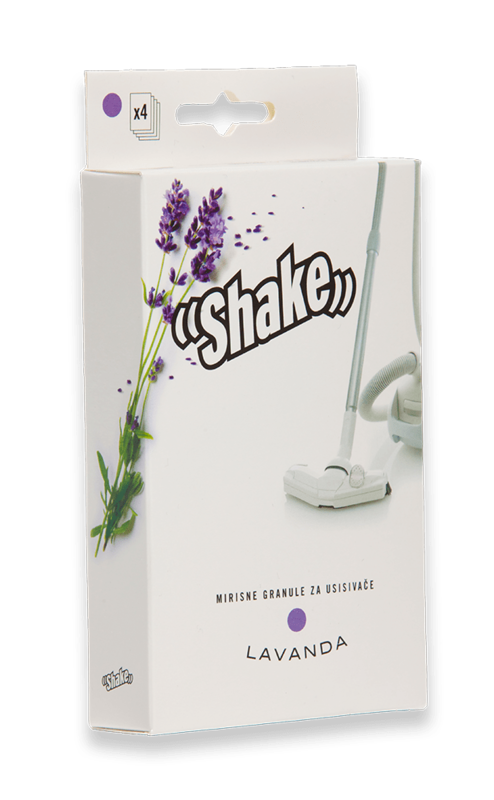 Lavender (Lavandula x intermedia) essential oil is used in the production of “Shake” Professional perfume granules, which also has the ECO certificate. USE: It is easy to use the perfume granules. For maximum efficiency and best results, we recommend that you insert a new bag into the vacuum cleaner, and pour the contents of the sachet, i.e. granules, onto the floor, and vacuum them. Continue vacuuming as usual, and the flow of air through the vacuum cleaner will take care of the rest. While vacuuming, the granules neutralize bacteria, preserve remnants of food and prevent their decay, neutralize the unpleasant smell of dog hair and eliminate the smell resulting from the operation of the vacuum cleaner. Of course, the room will emanate cleanliness and a beautiful fragrance afterward. WARNING: Not suitable for water filtration vacuum cleaners.